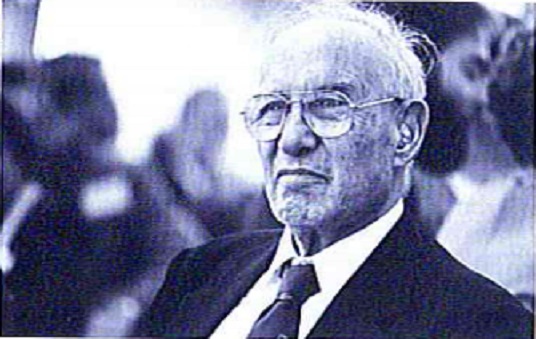 Peter Drucker is known as “the Father of Modern Management.” He was certainly different than other management gurus. And by the way, he didn’t like that description of his work. His own choice was “social ecologist.” In case you are wondering, a social ecologist studies how societies interact and organize themselves. But there is a little more to it. Social ecology was a theory founded by an author by the name of Murray Bookchin. Proving that the conservative Drucker harbored no prejudices, Bookchin was not only a socialist, he was an anarchist. His theory is based on a reconstructive, ecological, communitarian, and ethical approach to society. Maybe this is why Drucker differed so much in his consulting approach from other giants in the field, and in fact from just about any other management consultant. His methods of analyzing issues, solving problems, and making recommendations were far from theirs. These differences start even with the basic organization of the consulting practice, the services performed, and what Drucker demanded of his clients, and perhaps most importantly an emphasis on questioning clients rather than providing answers. In my own study of Drucker’s consulting I found that any manager can adapt Drucker’s consulting methods to his or her own practice of management. I heard once that the manner in which Drucker provided his consulting was the most difficult thing about being a Drucker client. 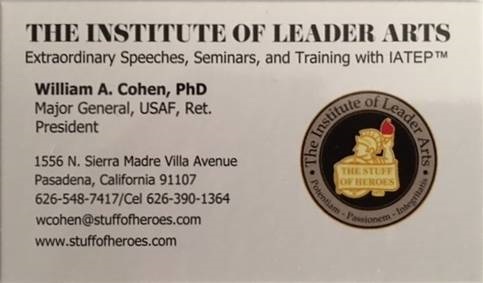 One Drucker client that I spoke with expressed it this way: “We had been accustomed to hiring consultants to whom we told what we wanted done or to solving a specified problem. They then went off and returned after a time with mounds of data and reports, and before the time of Power Points, stacks of Overhead foils which represented what they did and their detailed solution and recommendations. We were instructed exactly what we were to do to execute their recommendations, although of course the answered questions. Drucker, on the other hand, did none of that. He would begin with his asking us questions which we were expected to answer. In the process we had to think through logically to answer and along the way generated solutions which we would have otherwise completely overlooked.” The clients obviosly learned a great deal in the process. The Chinese philanthropist, Minglo Shao, who contributed the money to found the very unusual non-profit MBA- granting graduate school, California Institute of Advanced Management based on Drucker’s teachings of which I founded and had the honor to be president for five years, told me that every year he would visit Drucker in his home multiple times and Drucker would ask him questions about various issues regarding the developments of his many businesses and foundations. However, though he asked questions and just by asking him opened new insights which guided him what to do, Drucker never once told him how to do anything. Do the Most Difficult Thing — Think! Although Drucker was well aware of the use of many innovative methodologies developed almost yearly by hundreds of students and academicians for analyzing business situations and developing strategies, he made almost no use of them. Instead he emphasized thinking through every situation on its own. He never taught, “portfolio analysis” with their famous quadrants of cash cows, shooting stars, problem children, or dogs as developed by the Boston Consulting Group (BCG) or the GE/McKinsey nine cell version, or any another version of management or business strategy by rote methods. And he developed few such gimmicks of his own. Drucker was well aware of new fads promoted as breakthroughs, but he was extremely cautious in applying them across the board and without much thought; that is, without thinking through each situation individually and as whether it made sense to employ them. Drucker insisted on measures in just about everything, but the results were to be considered informational, and he avoided decision making by numbers whereby the decision was made for the manager by simply inputting certain data considered crucial into a software program, turning on a computer, and having the instructions on what should be done magically appear. He pointed out although one could gather data on thousands of businesses, even the weather the information was insufficient. Designing software based on your extensive data, you imput data unique to the situation and be able to predict the project results with some high percentage of accuracy, say 92.5 percent. He probably agreed when the young Captain James T. Kirk of Star Trek fame, faced with an unsolvable academic problem as a cadet at Star Fleet Academy, confounded his instructors by solving it. He had simply entered the computer lab at night and reprogrammed the computer. Drucker maintained that computer generated answers were still inferior to using the human brain, thinking through everything and making a “gut” decision based on available information, personal experience and knowledge of the nature of the unique personnel involved in the situation. He noted that personal knowledge or instinct of one vital factor might well be decisive and that the computer might never pick it up. He reminded his students and his clients that though a certain program might give accurate outcome results 92.5 per cent of the time, for 7.5 per cent of the time the results were 100% inaccurate. He recommended managerial gut decisions after considering all the information that could be obtained. Drucker told managers to make “gut” decisions, but these gut decisions were made with the brain. The brain was a better device than a computer and its associated software by itself for decision making. ***הכותב ד"ר ביל כהן הנו מומחה בתורת המנהיגות. ד"ר כהן הינו מייג’ור גנרל בדימוס בחיל האויר האמריקאי, בעל תואר דוקטור בניהול מאוניברסיטת קלרמונט. כתב למעלה מ- 50 ספרים שתורגמו ל- 22 שפות בנושאי ניהול ומנהיגות. ביל כהן שימש כיועץ בעמדות בכירות וכמרצה באוניברסיטאות הטובות בארה”ב בינהן ביה”ס לניהול באוניברסיטת קלרמונט וב-UCLA. בנוסף, הוא מעביר הרצאות וסמינרים בנושא מנהיגות בכל זרועות הצבא האמריקאי ובאקדמיה הצבאית וזכה בפרסים על הרצאותיו בעולם. מעבר להיותו גנרל בצבא ארה”ב, ד”ר כהן הנו בעל דרגת רב סרן בחיל האויר הישראלי והשתתף בקרבות אוויר במלחמת יום כיפור. שימש בתפקידי ניהול בכירים במספר חברות וכיהן כנשיא של שתי אוניברסיטאות פרטיות. ביל כהן היה חבר דירקטוריון במספר מועצות מנהלים ומועצות סחר עירונית, ממשלתיות ושל תאגידים שונים.ביל כהן היה תלמידו הישיר לדוקטוראט של פיטר דרוקר אבי תורת הניהול המודרנית שאמר עליו בין היתר כי ” ביל כהן היה סטודנט אשר אני והקולגות שלי למדנו ממנו לפחות כפי שיכולנו ללמד אותו”. תובנות בניהול ומנהיגות מהמפקדים של פלוגת טייגר האגדית במלחמת יום הכיפורים יחיד, יחד, יחידה – חיילי היום לעומת חיילי אתמול דב סיידמן נואם באו"ם לרגל 15 שנים ל-Global Compact ארגונים בישראל חשוב שתדעו במצב של רעידת אדמה – האם המדינה ערוכה?